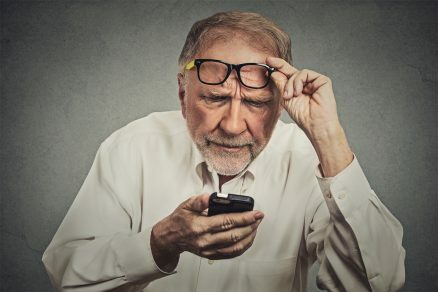 One of the leading causes of vision loss in people who are age 50 or older is age-related macular degeneration (AMD). This common eye condition leads to damage of a small spot near the center of the retina called the macula. The macula provides us with the ability to clearly see objects that are straight ahead. AMD may progress very slowly, with vision loss taking a long time to occur. In some people, though, the disease may advance more quickly. It can affect one or both eyes. Some treatment options are available for later stages of AMD. At Carolina Vision Center we provide Macular Degeneration eye exams. One of the first symptoms of AMD is a blurry area in the center of your field of vision. Over time, this blurred region may increase in size. You may also develop blank spots near the center of your vision. In addition, objects may not be as bright as they once were. AMD does not lead to complete loss of vision. However, the central vision that is affected by AMD is needed for many everyday activities, such as being able to read, write, recognize faces of other people, drive a car, cook or fix things around the house. Smoking. Smoking tobacco can double your risk of suffering from AMD. Race. Caucasians are more at risk of AMD than Hispanics/Latinos or African-Americans. Family history. If someone else in your family had AMD, you are at greater risk of developing it. Genetics. Almost 20 genes have been linked to an increased risk of AMD. There is no treatment for AMD during the early stages. Many people have no symptoms at this point. If you have early AMD, at Carolina Vision Center suggest a yearly — or more frequent— eye exam with our Doctors to see if your disease is getting worse. For intermediate- and late-stage AMD, some research has found that high doses of certain vitamins and minerals may slow the advance of this disease. This includes vitamins C and E, zinc, copper and beta-carotene (and perhaps lutein and zeaxanthin). These will not help you if you have early-stage AMD. They may, though, slow vision loss in the later stages. To find out if nutritional supplements are right for you, please call Carolina Vision Center at (910) 485-3937. Or visit Carolina Vision Center located at 2047 Valleygate Dr, Fayetteville, NC.